Background: On the left flank of the old district hospital near chowk bazar, Pilibhit stood a small beautiful mosque widely popular among the locals as Malik ji ki Masjid. The area around it is also known as Gher Malik. The verbatim meaning of Urdu word “Gher” means encircling. For the above context, it is used to mention the compound. Elliot mentioned in Gulistane Rahmat, Malik Shadee Khan as the cousin of Hafiz Rahmat Khan, who was a son of his uncle, Shahdad Khan. Shadee Khan played a key role in the establishment of Ruhela confederacy from the time when Daud Khan was seeking fortunes in Kateher merely as an adventurer. It was same Shadee Khan who placed Ali Mohammad Khan, an adopted son of Daud Khan as Ruhela leader when the latter was assassinated by Raja Deeb Chand of Kumaon in 1720. The rulers of the independent princely state of Rampur were the direct descendant of Ali Mohammad Khan. 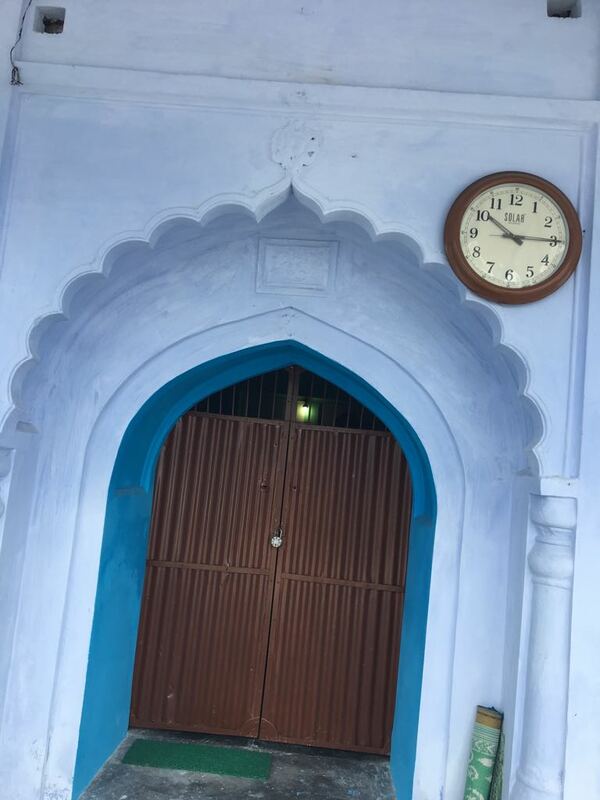 As cited in “Hayate Hafiz” and “The rise & fall of the Ruhela Chieftaincies in 18th Century India“, the Ruhela Cheif, Hafiz Rahmat Khan accommodation existed in front of historic Jama Masjid and it includes family apartments, court, and havelis of other prominent chiefs. 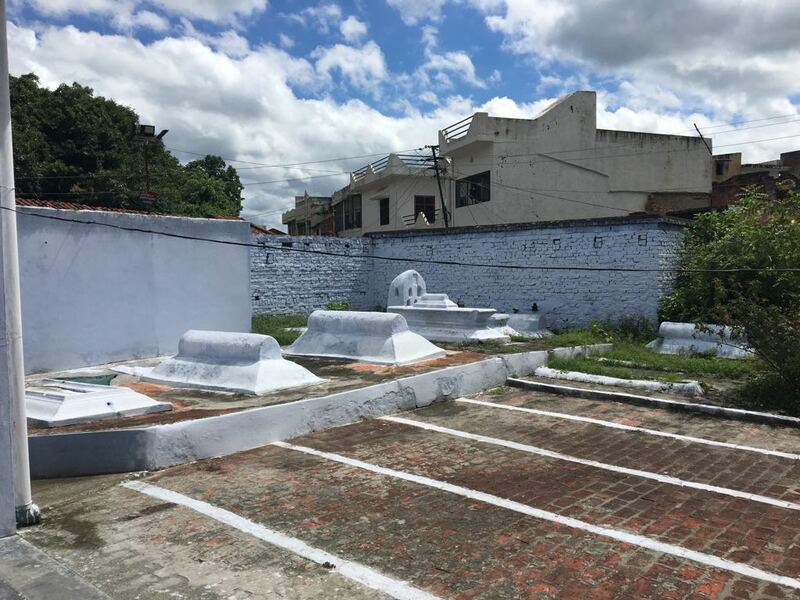 Description of the monument: Malik Ji ka Gher is now occupied by densely populated homes that were mainly constructed during the Colonial period. The nearby old District Hospital and Tehsil were built on the site of Rohilla chief Palace. A Turkish Hammam is still present in the ruined condition between these two buildings.http://www.rehanhist.com/2017/12/30/18th-century-hammam-turkish-bath-at-pilibhit-the-last-remnant-of-rohilla-chief-palace/. 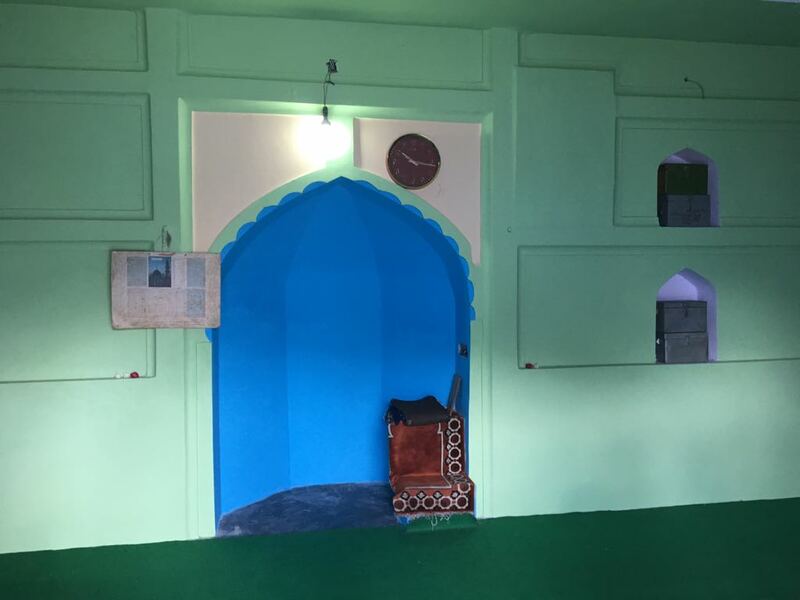 It seems that mosque was the part of the Malik Shadee Khan apartment that once existed on the place that is still known among the local as Malik Ji ka Gher. The main section of the mosque has been renovated recently but fortunately, one of the main pieces of evidence has been left. The vaulted roof and domes have been replaced by the newly constructed slab. However, the boundaries and entrance to the main section remained untouched. 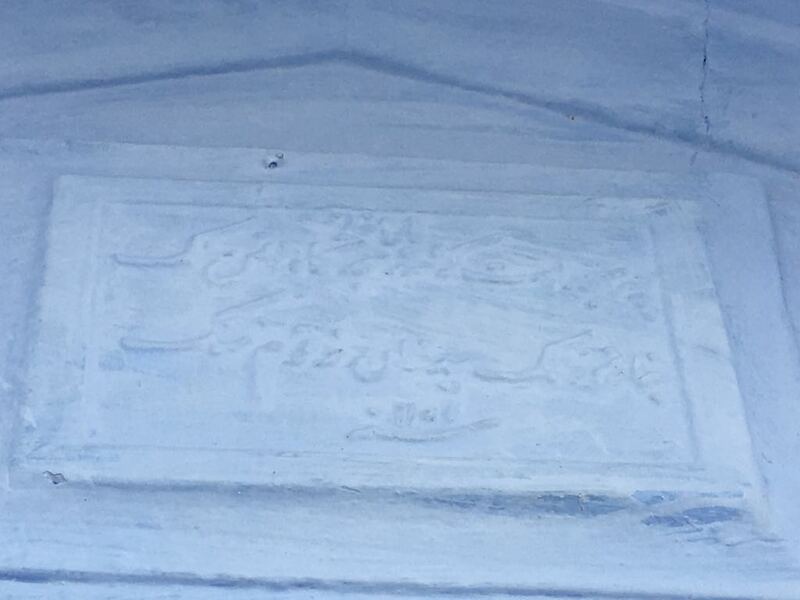 Three arched gateway leads to the inner section of the mosque in which the central one has a tablet depicting the name of Malik Shadee Khan with the date in Hijri as 1172 (1758 Gregorian). The verse written at the top of the tablet seems to Persian and it was difficult to read the words due to whitewash on the engravings. However, the term “Masjid” is readable. Central entrance to the main section of the mosque. The tablet located above in the picture has text engraved in Persian. The courtyard of the mosque has some old graves on the left corner. The caretaker told that most of them date back from the old Ruhela days. Some of them have dates engraved on them that have been lost due to the repeated whitewash of the tombstones. The walls and mihrab (niche) in the inner section of the mosque is the part of the old construction that has been plastered during the renovation. The old graves in the outer section on the left side of the main courtyard. The inner section of the mosque showing Mehrab “niche”. The life of Hafiz Ool Moolk, Hafiz Rehmut Khan, Written by his son, Nawab Mustujab Khan Bahadoor, and entitled Gulistane Rahmat, Abridged and translated from Persian, by Charles Elliot, London, 1831. Ali, S.A.,(1933) Hayat I Hafiz, Nizami Press, Badayun. An oriental Biographical account of Hafiz Rahmat Khan.